The leadership of the HMD Global, the Finnish startup behind Nokia Mobile, had a meeting today in their Finnish HQ. 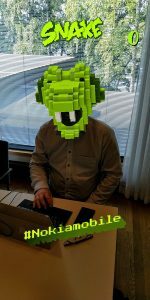 Juho Sarvikas, the CTO of the HMD Global tweeted about the meeting but didn’t disclose much of what the guys chatted there. One thing he did reveal. Nokia Mobile launched a new version of the popular Snake. 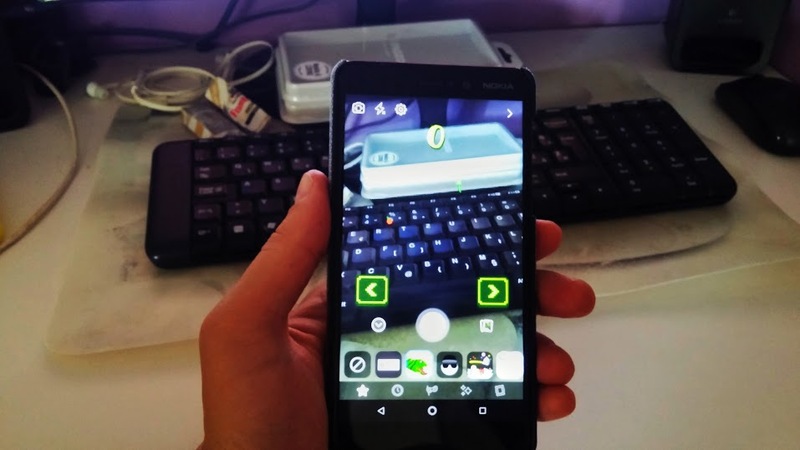 This version of the game is still on Facebook, but this time it uses the AR engine so you can play it where ever you are. By using your front facing camera, you can even become the game’s main protagonist, and eat apples around you. I tried the mask while enjoying the sun this morning, and it looks good. Sarvikas also tried it on its boss, and the result is even better. 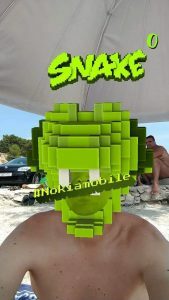 There is a second Snake AR mask that enables you to play the game where ever you are, on the beach, in your car behind the wheel (actually, don’t do that), or on the meeting in Finland. If you want to try the AR version of the Snake, click this link, or start the Facebook app and just click on the camera in the upper left part of the app. Left to the main camera button, you’ll find the magic wand. After you click on it, you can browse among many masks, and after a few of them, you’ll notice the Snake masks. Try it and tell us how do you find it. Or even better, send us a Snake head photo where ever you are now.